Discussion in 'Site Announcements' started by sothis, Feb 11, 2019. 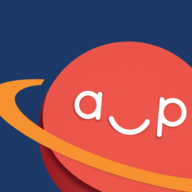 Recently we announced Anime-Planet's new brand, and the initial steps towards a full redesign. Today we've launched the new favicons, which you'll notice in your browser tabs, or when you pin Anime-Planet's website on your phone or computer. Thanks, as always, for your support of Anime-Planet! SMores, Melicent, RabidFangirl and 17 others like this. first. I like the new favicon. Unrelated to this post, and not sure what you mean. Badges still exist. I like it, great job! it's always fun what new stuff is going to be rolled out next. it makes me find said tab much easier as well when I have a few extra tabs open while streaming something, etc. Looks nice, will take some getting used to after all these years. NICE AND WELL DONE ! Greetings from Italy to all ! The colors look pretty. I really like it. I’d purposely left the favicon.ico out as HTML5 lets us specify sizes, making the .ico format somewhat redundant – they are only essential if you want to support older versions of IE. Of course, if you want to use a .ico then you should do, they will still work with all major browsers. In order to reduce requests and load times, I was attempting to keep the number of files to an absolute minimum, it’s a tricky balancing act!